sideblog: Romantic Weekend in Paris? Imagine it, just you and the one you love, crossing the Channel, La Manche!, on your way to what is regarded as the most romantic city on the planet. Just an easy morning's ride from Calais, and into the French capital for cocktails and tepid horse meat before an evening carousing on the Pigalle. You stare lovingly at your partner, having travelled over entwined in a firm embrace, not caring who looked on disapprovingly. Of course, there are hundreds of other fish in the sea, some of the most beautiful specimens in the whole of Europe are here for you to feast your eyes on, but you quietly mouth your commitment to your partner and try to not be caught staring at the newer models. At the end of the night you share a brandy with your faithful, gorgeous other-half, before chaining her to a lamppost and going to bed. 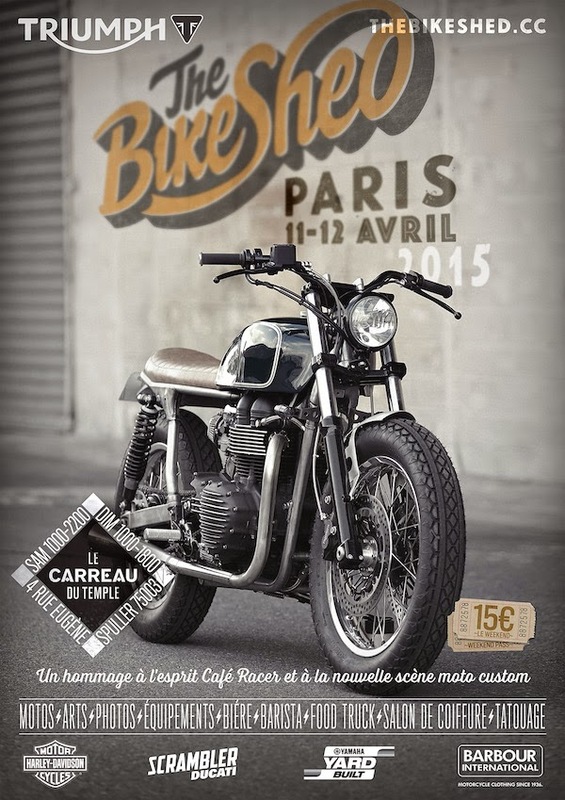 Tomorrow is going to be busy, it's day two of Bike Shed Paris! This weekend! Get your tickets here.